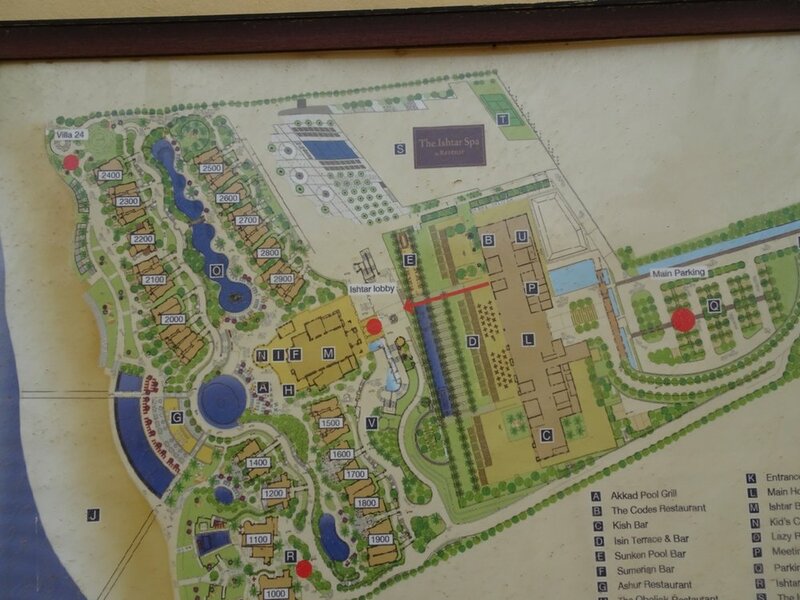 When we arrived, I perused the map of the hotel to identify somewhere to have my daily swim. Straight lines, no larking about, just get the goggles and headphones on and do it. I noted the “lap pool” up by the main building and on the first morning we were here, I persuaded my Hero that we needed to explore. It was closed. A sign nearby stated clearly, “no swimming”. How about the “lazy river” then, he asked. That’s right outside our room and would be an easy option if only I wanted to swim in curves. I’m not sure that I could do any more than paddle about in a pool that shape. Definitely too curvy. 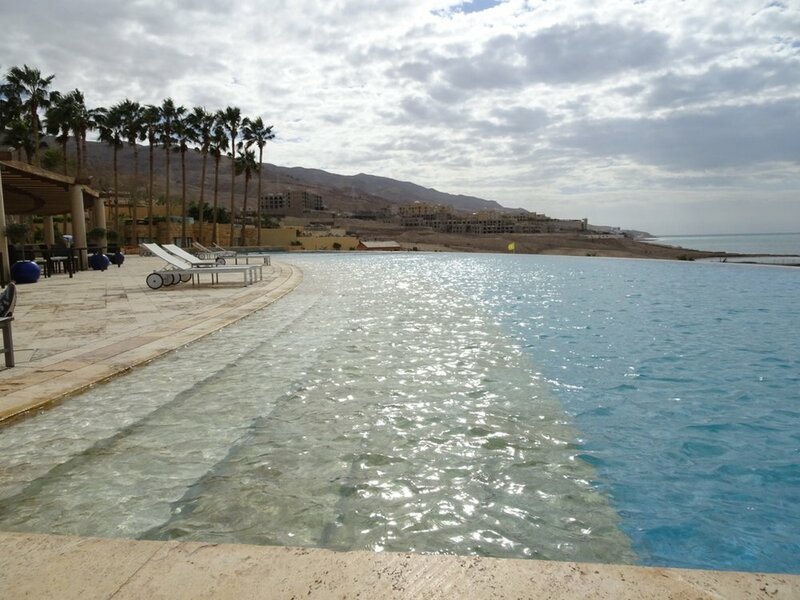 What about the infinity pool by the Italian restaurant where we had dinner last evening? But that’s round!. I can’t swim in circles - I might spiral down the plug in the middle! I caught a tantalising glimpse of another pool beyond the trees, but we don’t have access to that as it’s reserved for whoever has the Royal Suite. We are not Royal enough to use that - and anyway, it looks round as well. We went down another level and came upon this long pool with only the slightest of curves. There were no signs around to say it was closed and a chap had been cleaning it just minutes before. I took off my T shirt and grabbed my goggles as my Hero settled into a comfortable lounger. But I was in for a shock. Unheated!! The water was so cold, I couldn’t even think of going in there. Far too cold for this softy! The next pool is heated, the pool guy said. Indeed it was, but there were children larking about in there - it’s the designated family pool - so it wasn’t really for me either. Too many children. 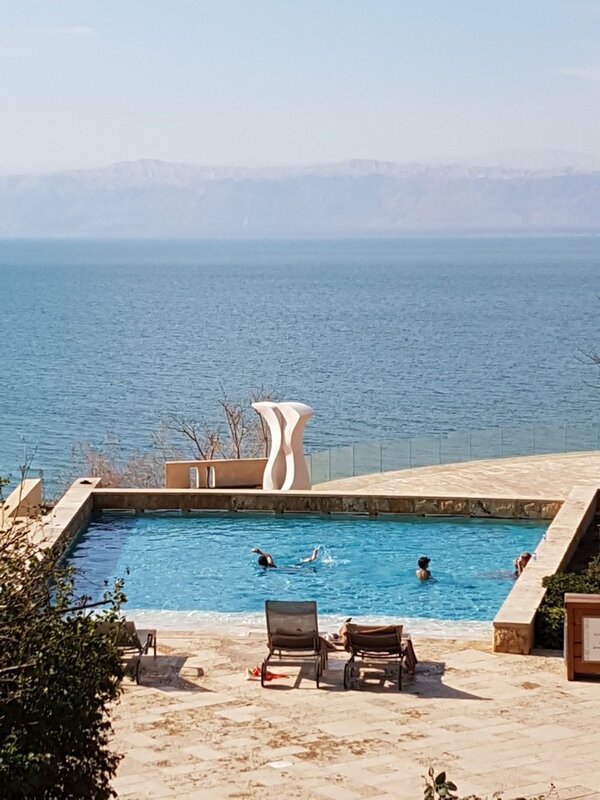 We climbed back up the stairs - the hotel is set on a steep hillside and going anywhere involves many steps - and one of the staff noticed we were looking a little “lost”. I explained what I was looking for - a simple pool in which to enjoy my daily swim. Where did he suggest? The Lazy River. Yes, it’s a bit chilly, but you’ll soon get used to it. He stood and watched, smiling as I got in up to my chin before giving up. No way! If anything, it was colder than the slightly curved pool down below - I jumped out and he handed me a towel (full service!) and pointed across to the round infinity pool, which he promised was heated and ready. It was just right - still round of course, but warm and with the most spectacular view. Suddenly I’d gone off the idea of trying to do my daily swim. My goggles have stayed in the bag underneath my sun lounger.